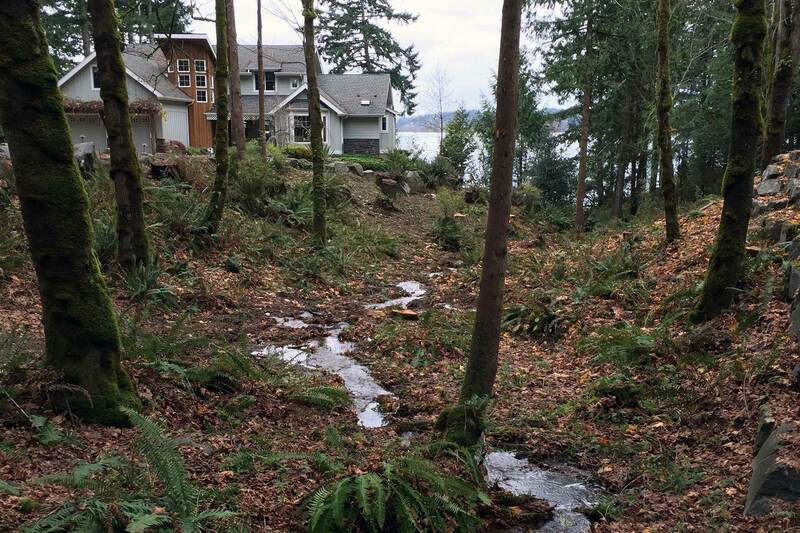 This park-like setting is actually a ravine between a home and a guest house on Steamboat Island, west of Olympia. 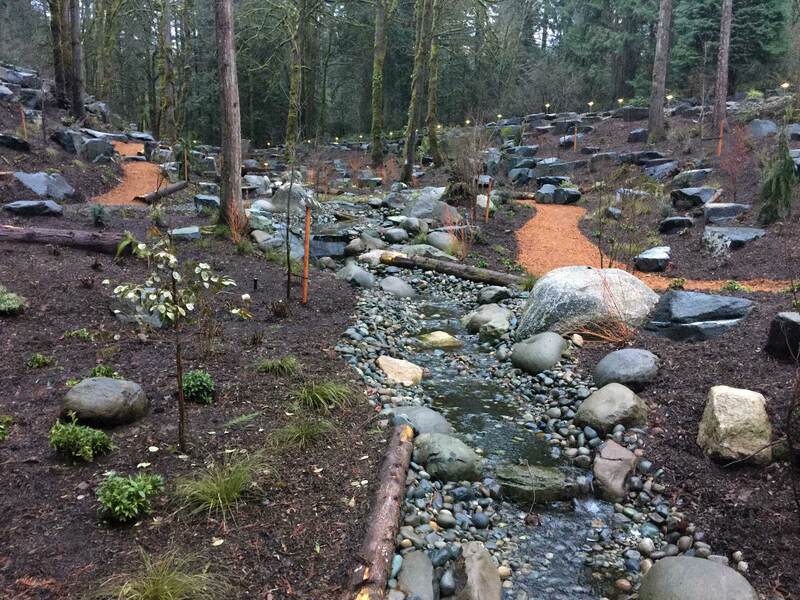 The project involved working with this naturally-flowing, seasonal creek and turning it into a park-like passthrough between and home and a guesthouse. 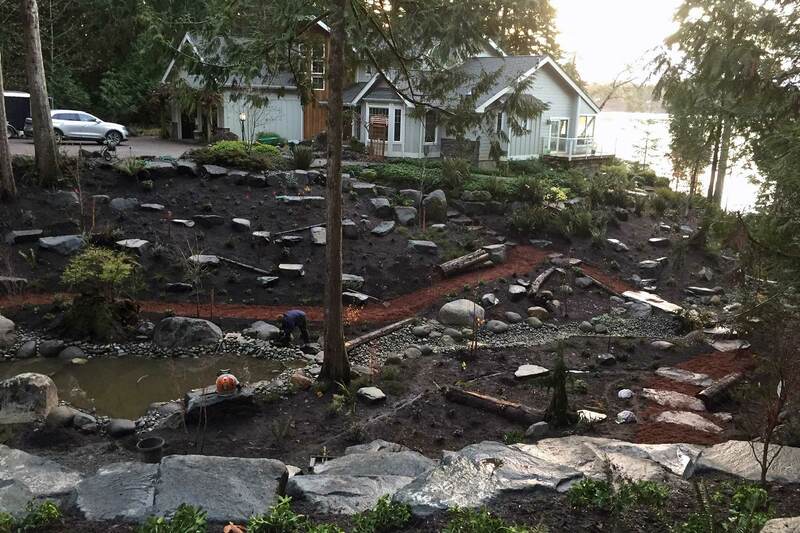 Over 400 tons of rock, granite and large field stone was brought in to complete the project. 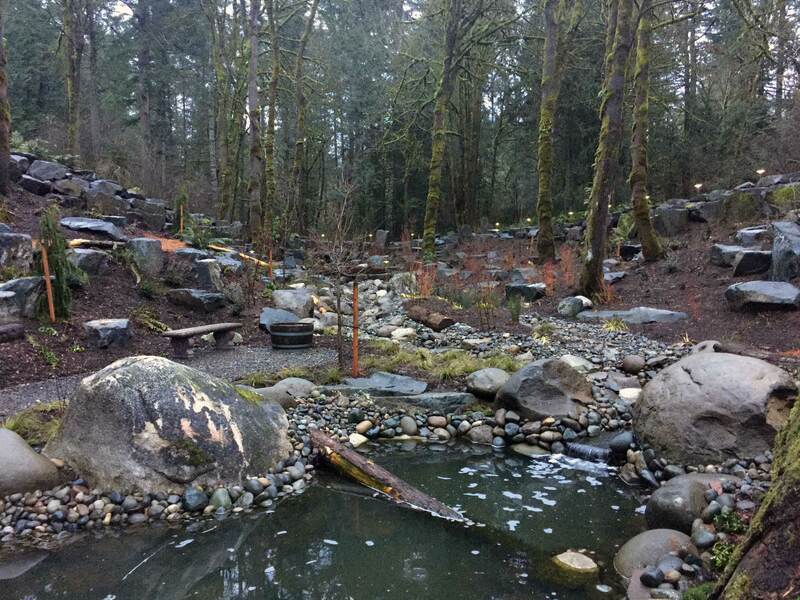 Dreamscapes built this pond into the landscape to naturally feed off of the seasonal creek. 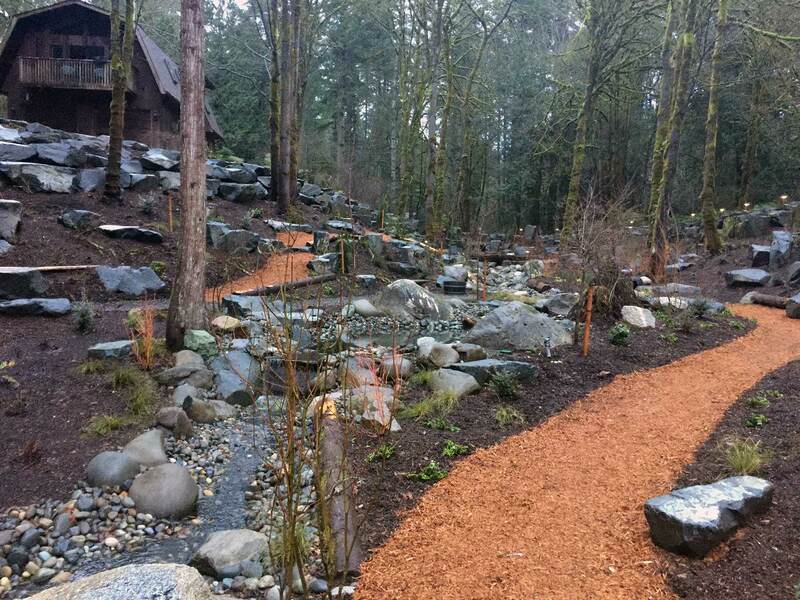 Now, instead of a muddy, murky ravine, there is easy passage between the main house and the guesthouse. 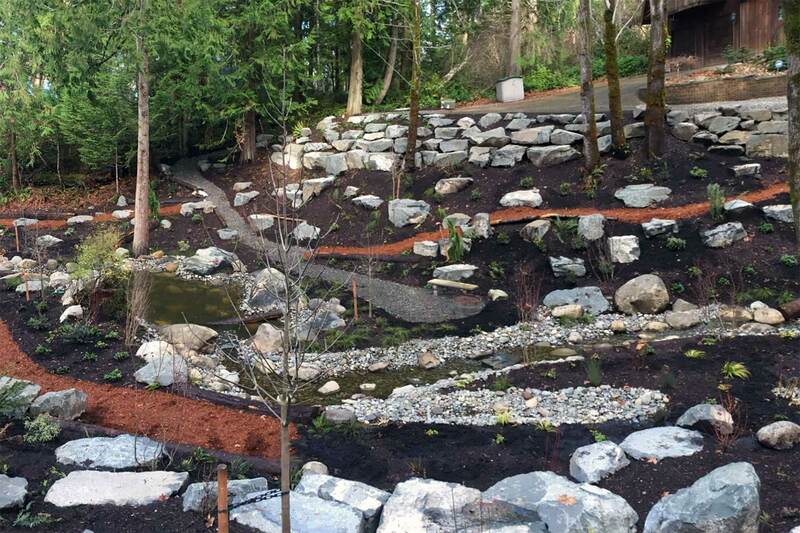 The meandering trails and pond make for a relaxing stroll between the structures.